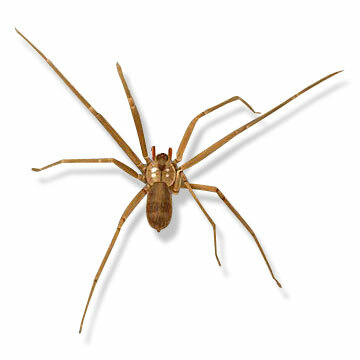 The Brown Recluse Spider or Violin Spider frequently builds its nests in woodpiles and sheds, closets, garages, cellars and other places that are dry and generally undisturbed. When dwelling in human residences, they seem to favor cardboard, possibly because it mimics the rotting tree bark which they inhabit naturally. The spider bears a potentially deadly venom, however, most bites are minor.